Create, personalize and launch popups anywhere on your website, without coding. 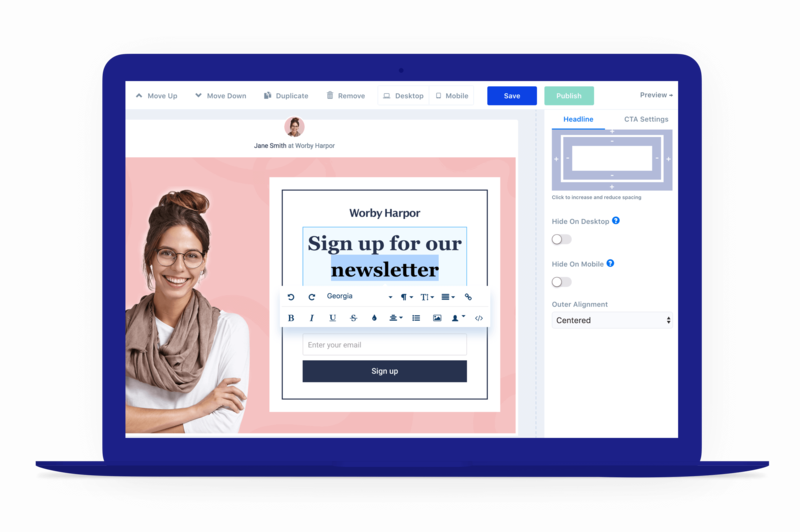 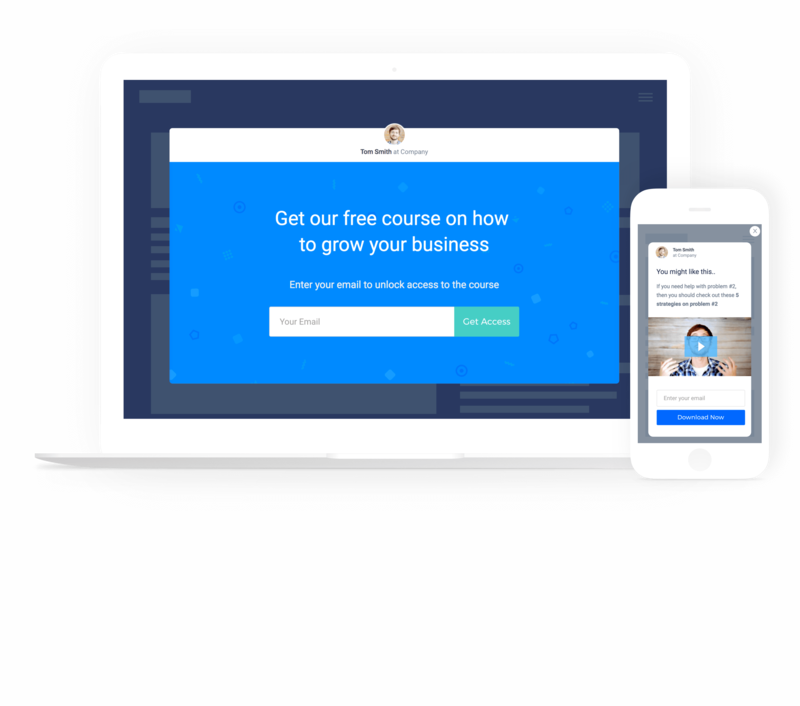 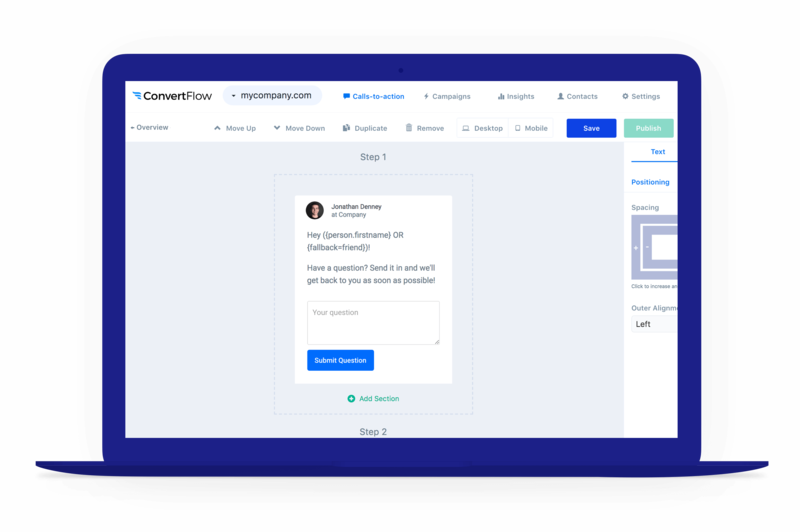 ConvertFlow's popup builder gives you the power to create the best website popups for generating leads, driving sales, surveying visitors and more. 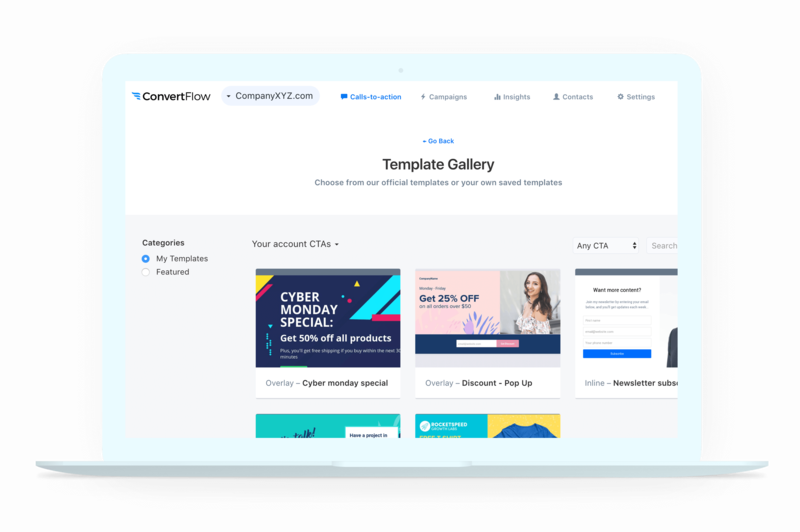 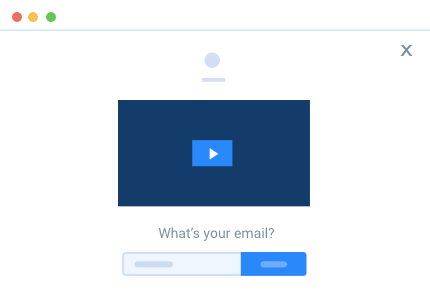 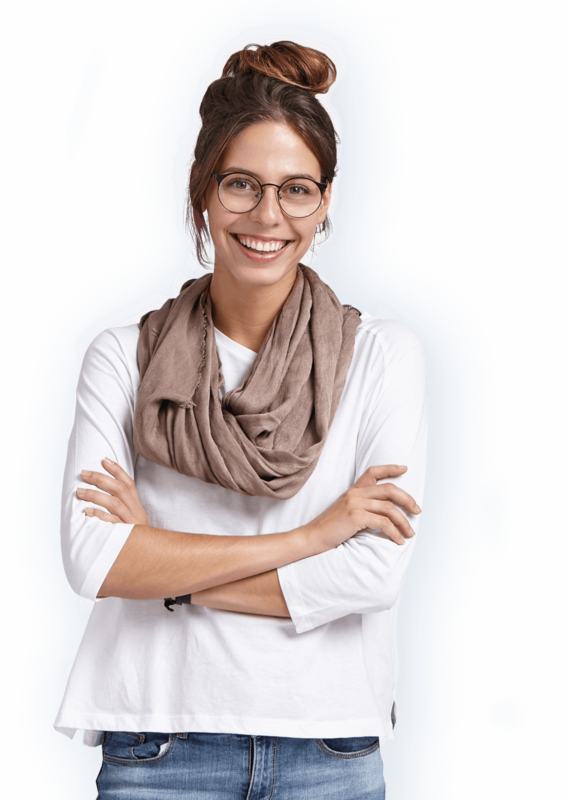 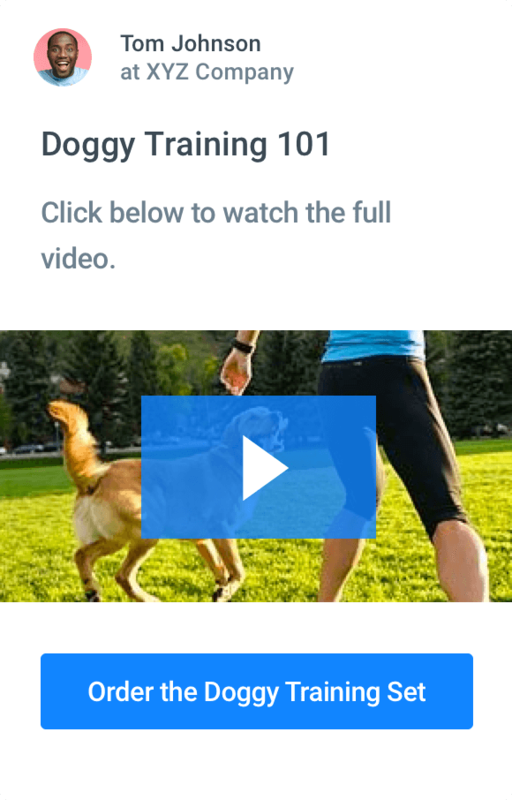 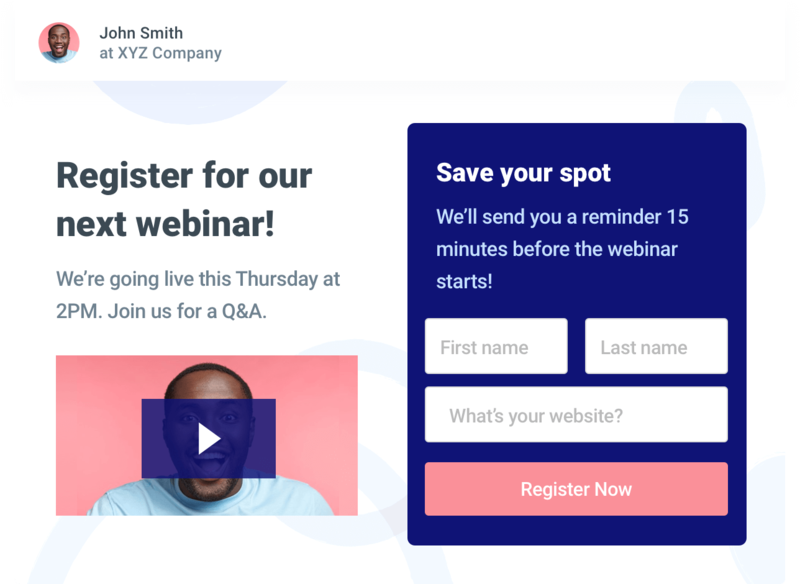 Whether you're engaging visitors as they read your content, when they land on your home page or as they exit your website, ConvertFlow's popups give you a variety of ways to gain their attention. 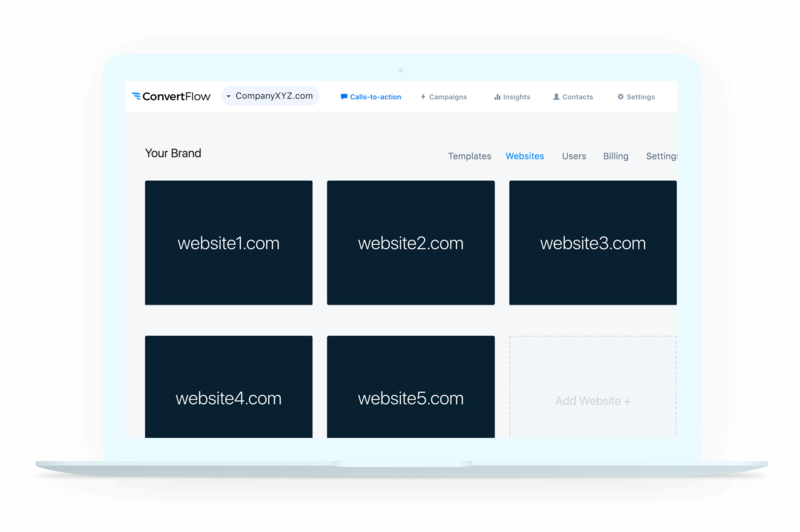 Your ConvertFlow popups are mobile responsive and automatically adjust for any device your visitors may use. 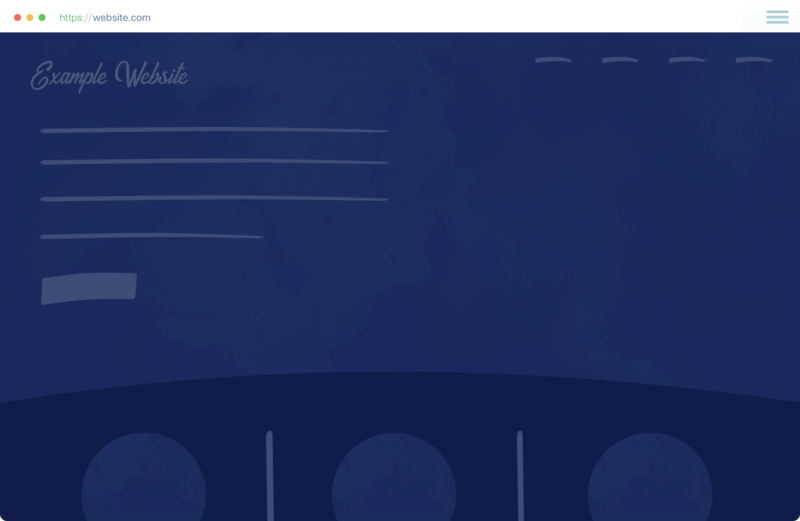 If you need a little extra control, you can make adjustments for desktop or mobile. 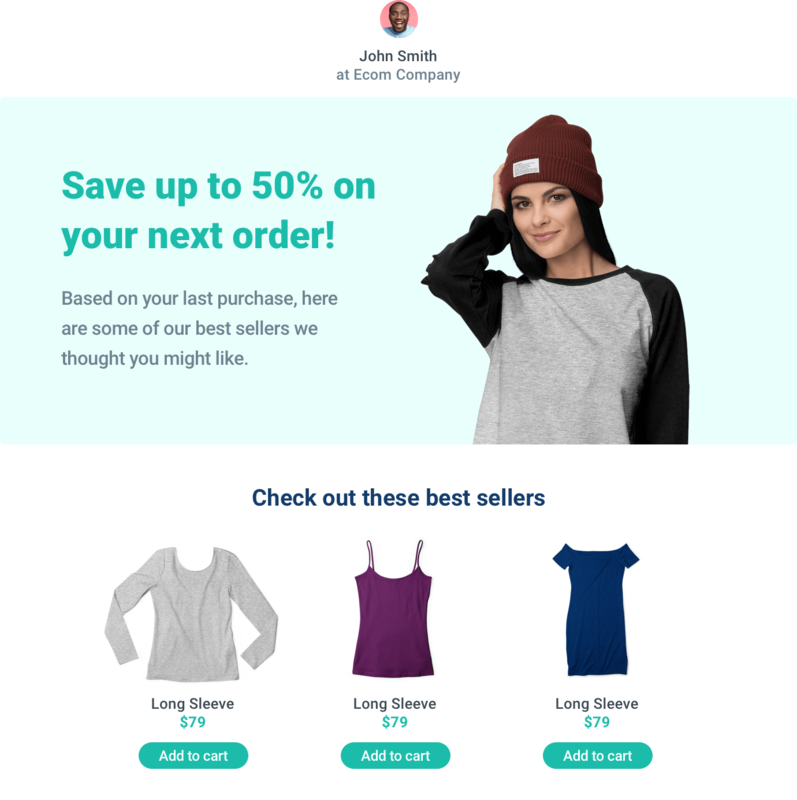 The key to a high-converting popup is displaying the right popup, to the right visitor, at the perfect time. 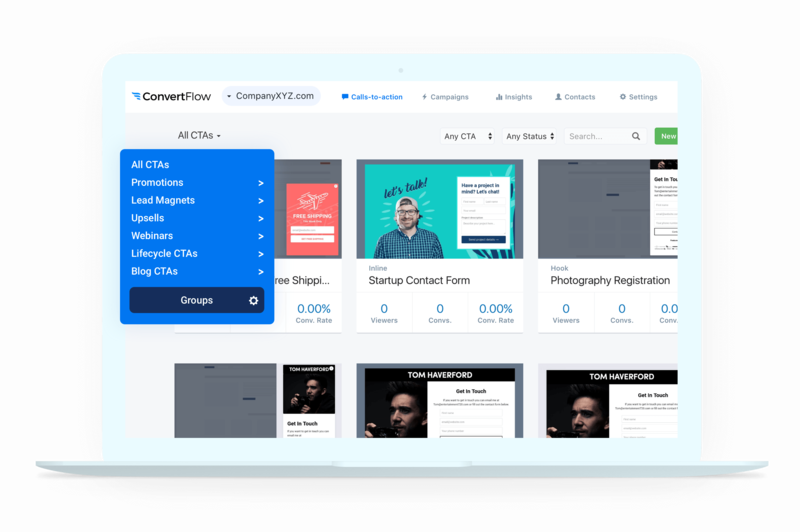 With advanced popup trigger controls, ConvertFlow's got you covered. 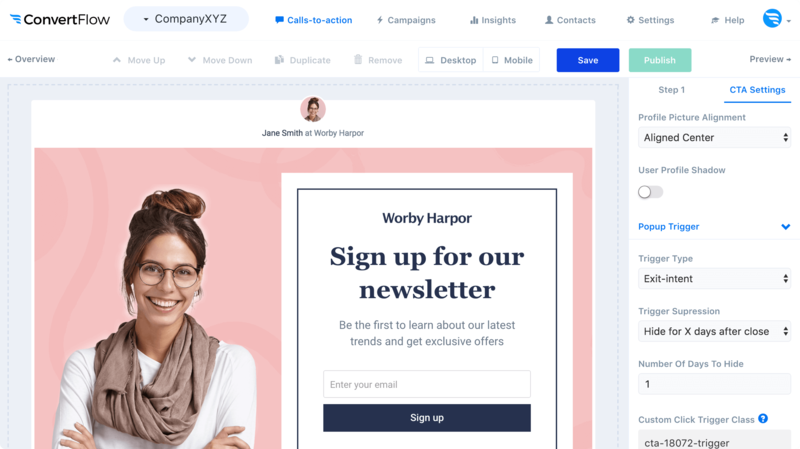 Set actions on your buttons, forms and surveys to direct visitors to page URLs, jump to another step, display a different popup or fire off a retargeting pixel. 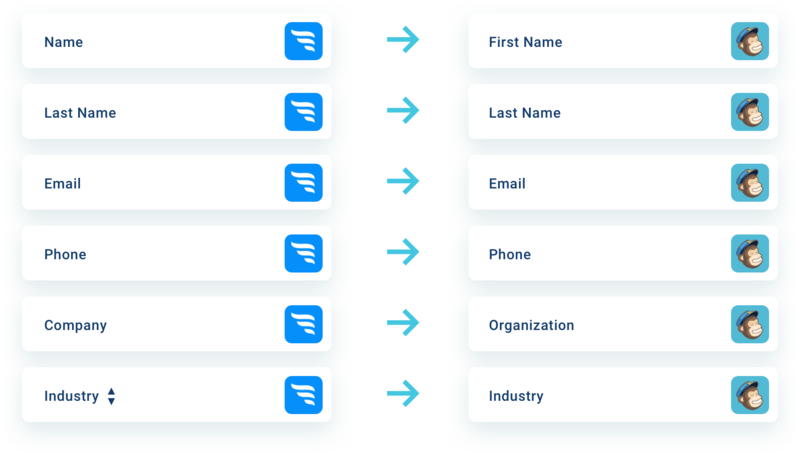 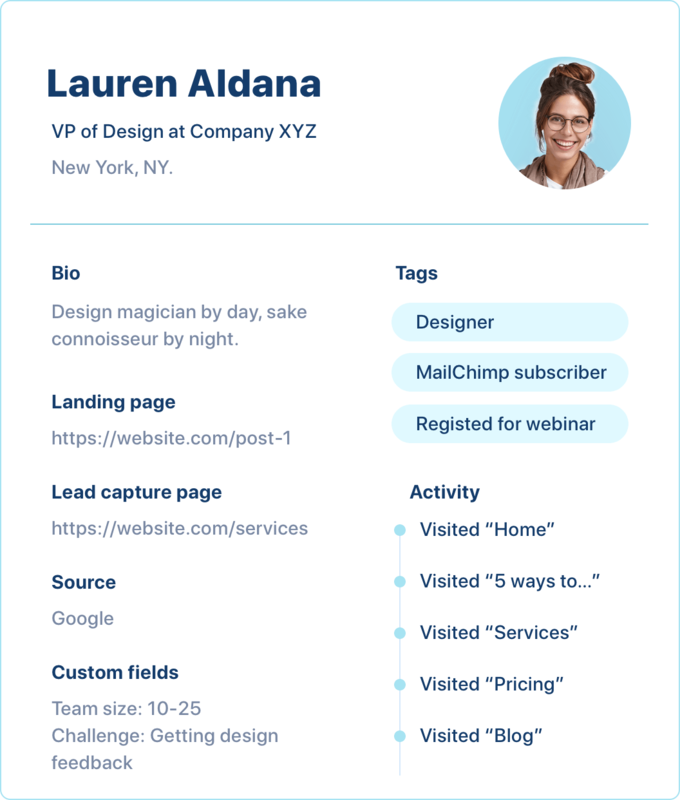 You can even segment contacts into lists, tags and more in your email service provider. 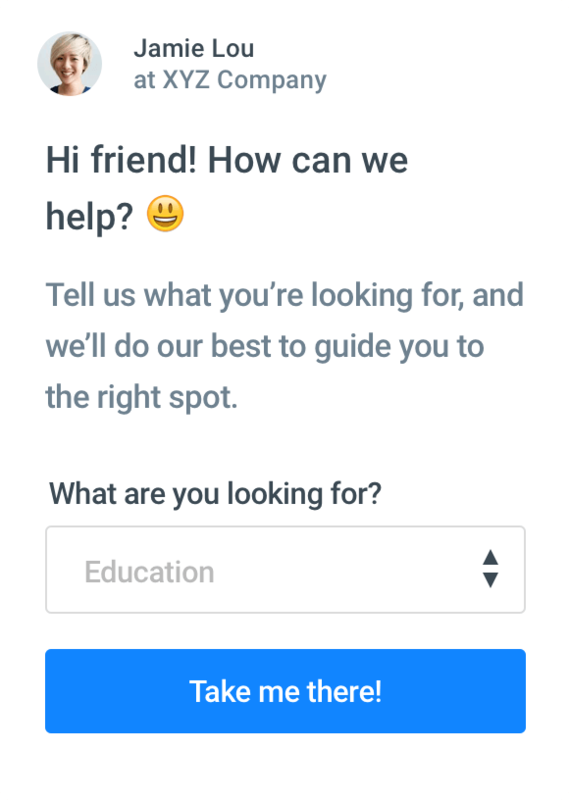 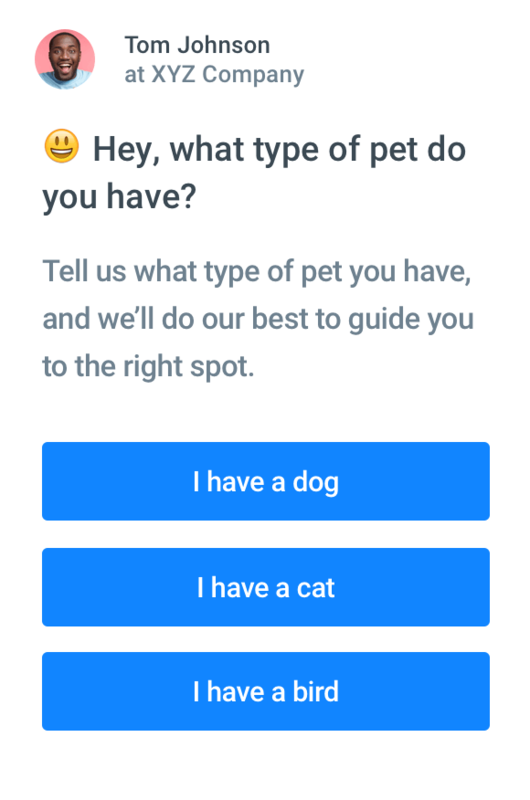 Ask for the right data and personalize your popup by jumping people to different steps of your popup based on their responses. 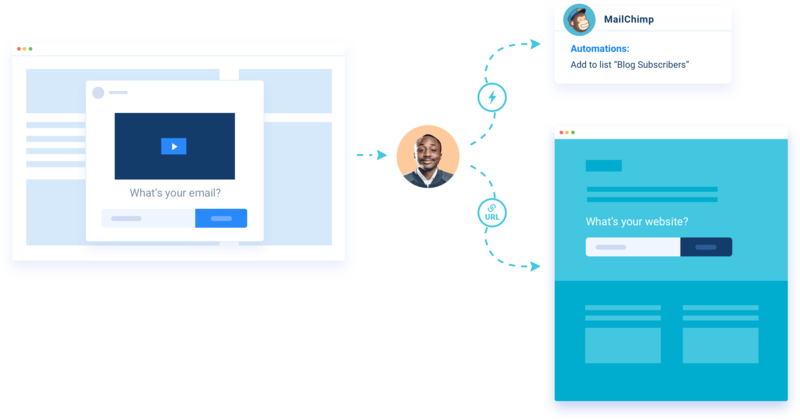 Add automations to your popup for your email service provider (ESP), to segment contacts into the right lists, tags, workflows etc. 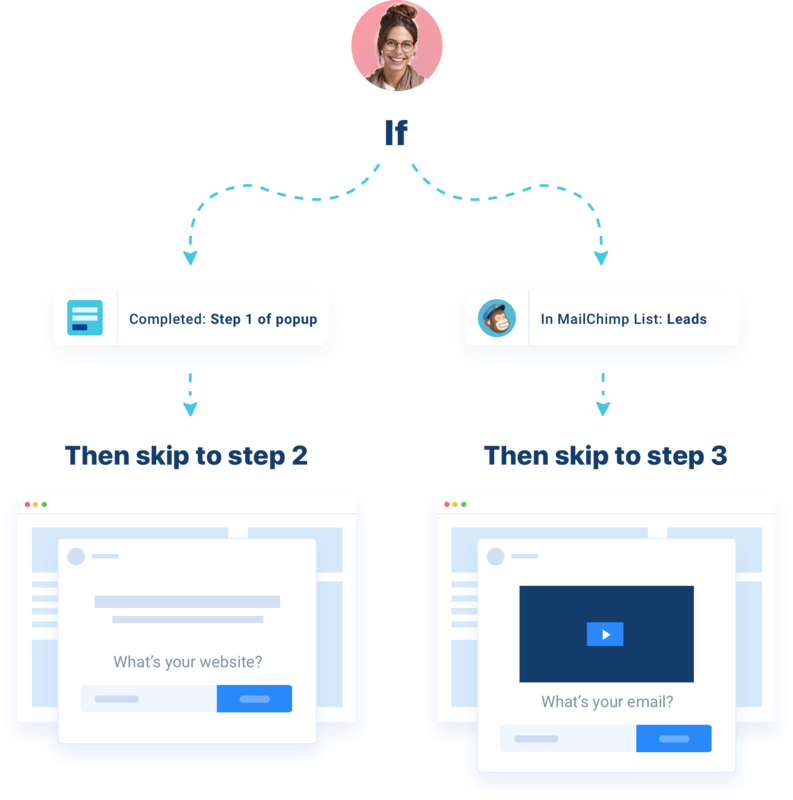 Skip visitors to different steps of your popups based on their field responses, previous progress and more. 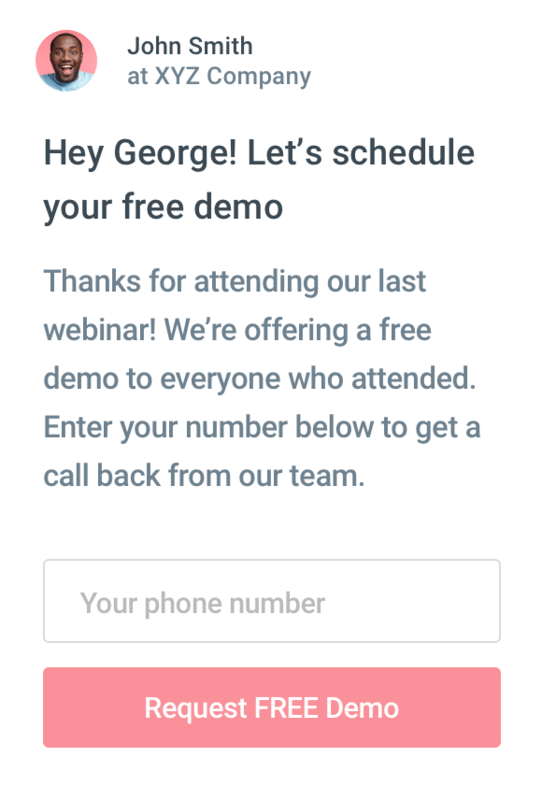 Personalize your popup message using contact fields you've previously collected. 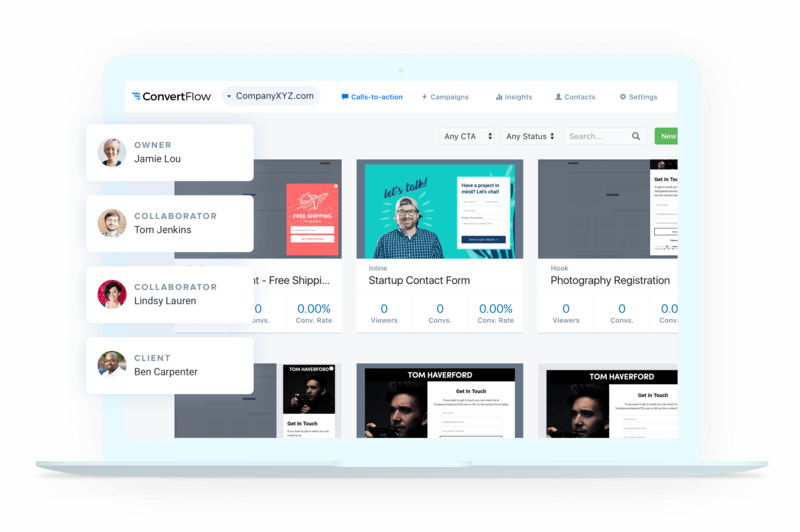 People like to do business with people they know, like and trust. 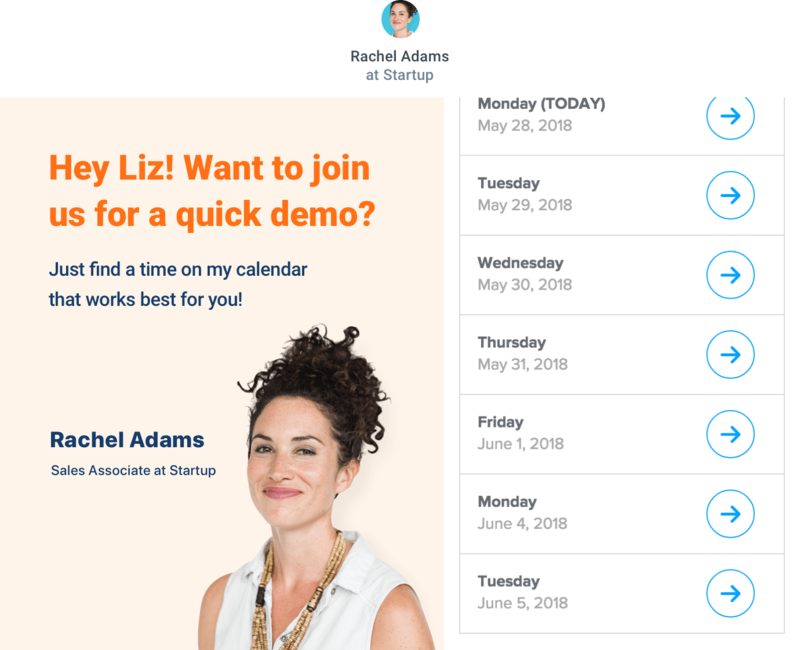 Display your profile with your popup to give your message a personal touch. 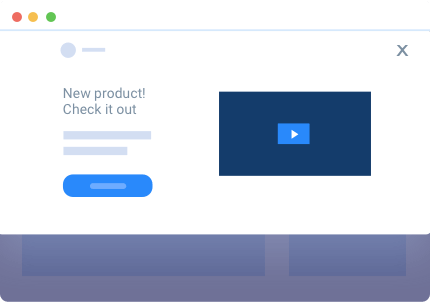 Display different popups to visitors based on which page they're on, their interests, their site history, where they came from, where they're located, what they've purchased and more. 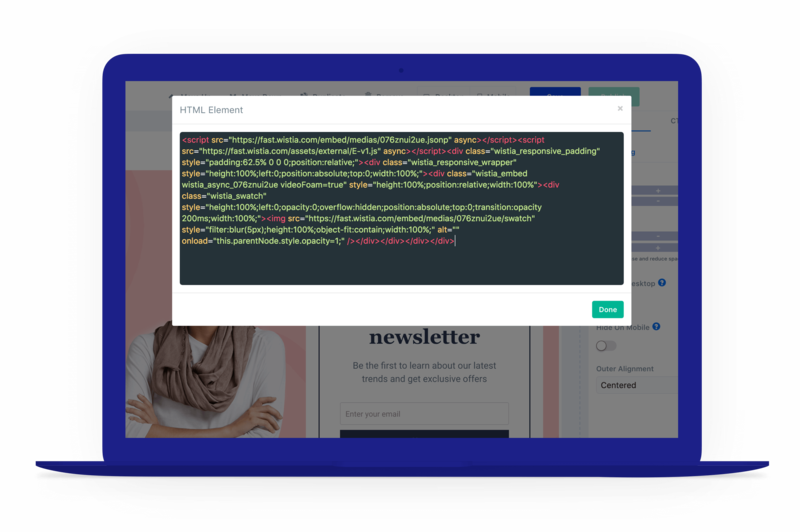 Show different popups based on the current page URL, page visit history, device type, geo-location, campaign engagement and more. Show different popups based on the visitor's referral source, original landing page, first-touch UTMs, URL parameters and more. 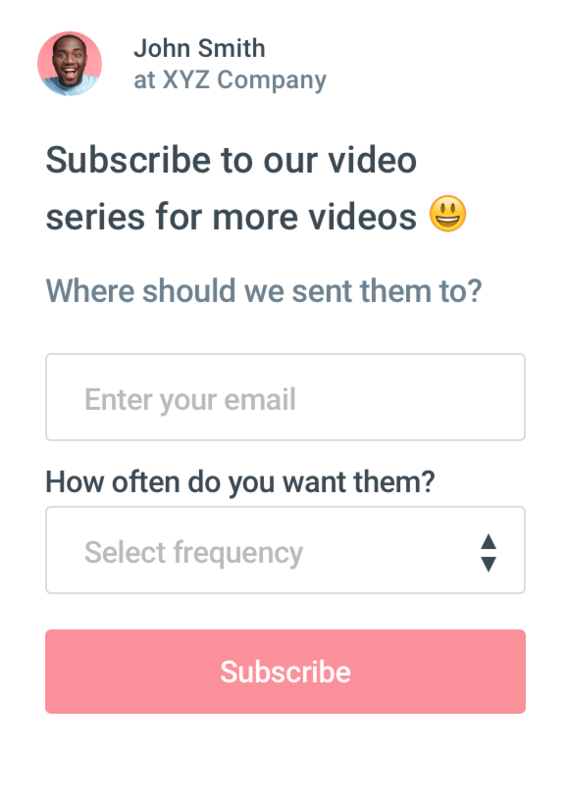 Segment your visitors using surveys, custom fields and tags. 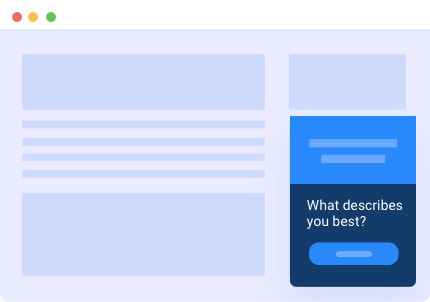 Show the right popups to the right visitors based on their segmentation. 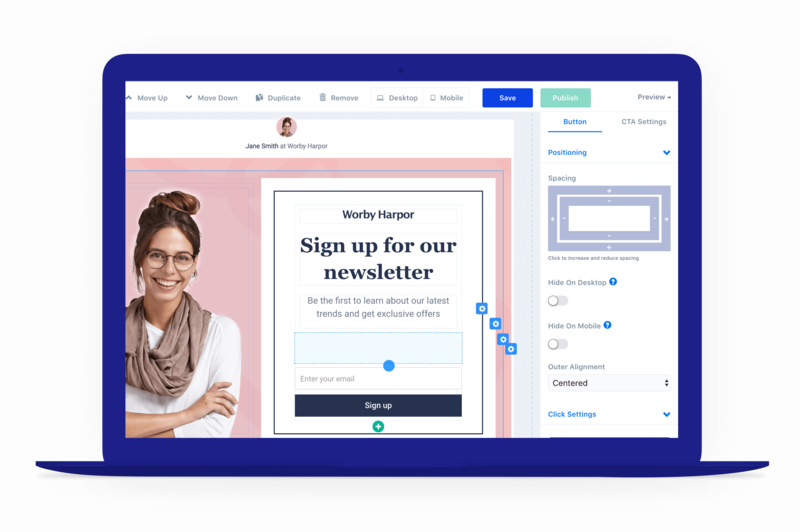 When visitors engage with your popups, you can guide your visitors to take the next step by sending them to the landing pages and popups you create within ConvertFlow. 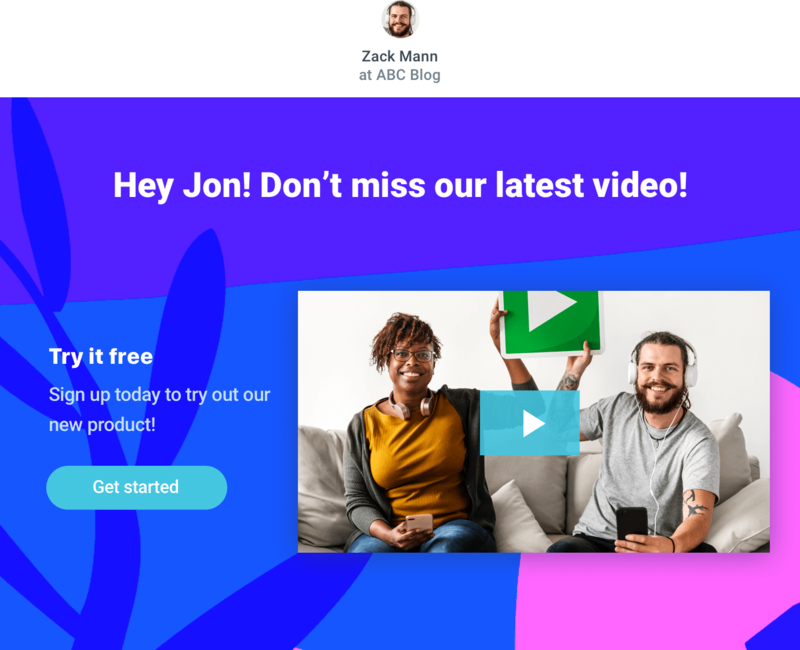 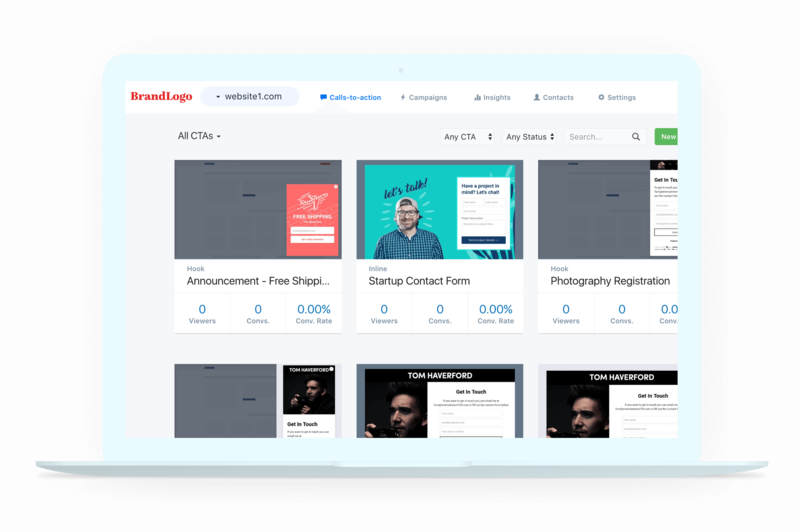 Take your visitor experience to a new level by embedding YouTube videos, Shopify products, Calendly scheduling widgets, Wistia and more in your popups. 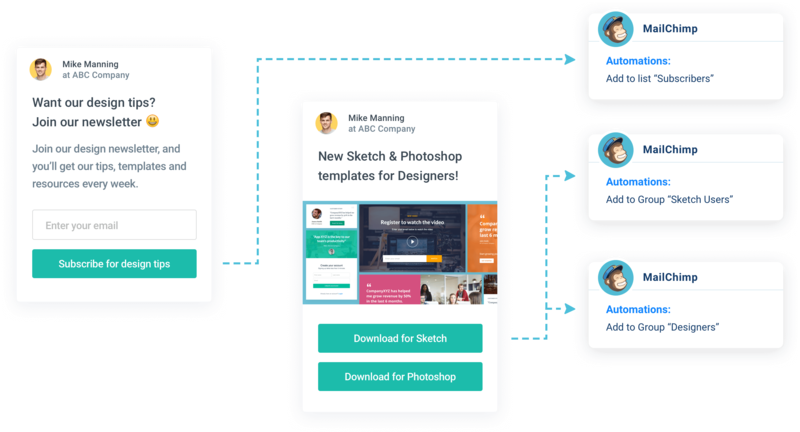 See how people are engaging with your popups, and where they drop off. 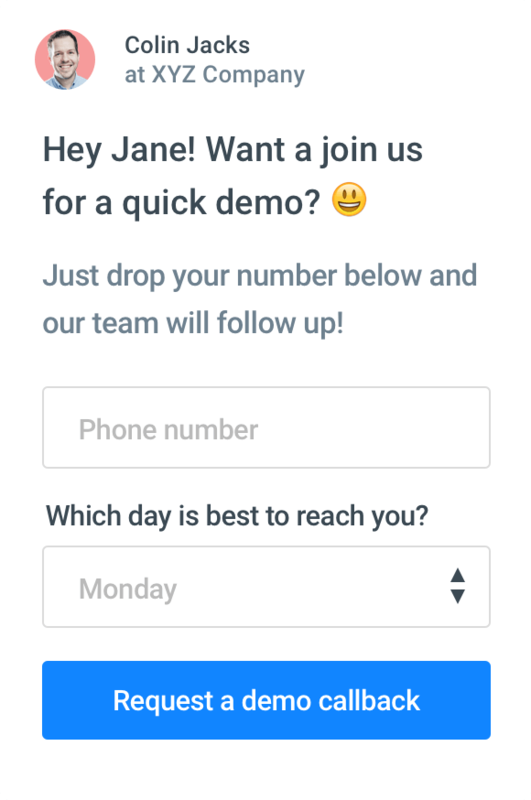 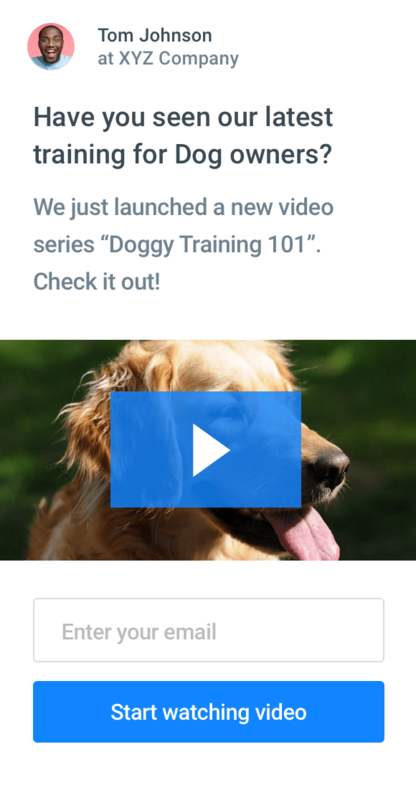 Track conversion rates, completion rates and see people's responses to your questions. 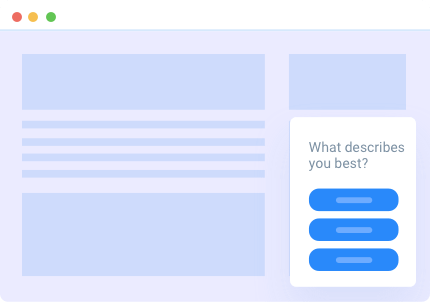 See how many people saw, converted, and completed your popups, as well as who submitted your forms and where people dropped off. 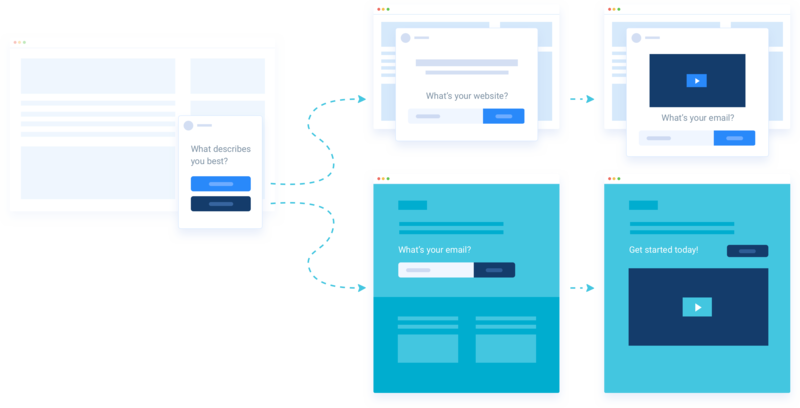 Organize multiple popups into campaigns. 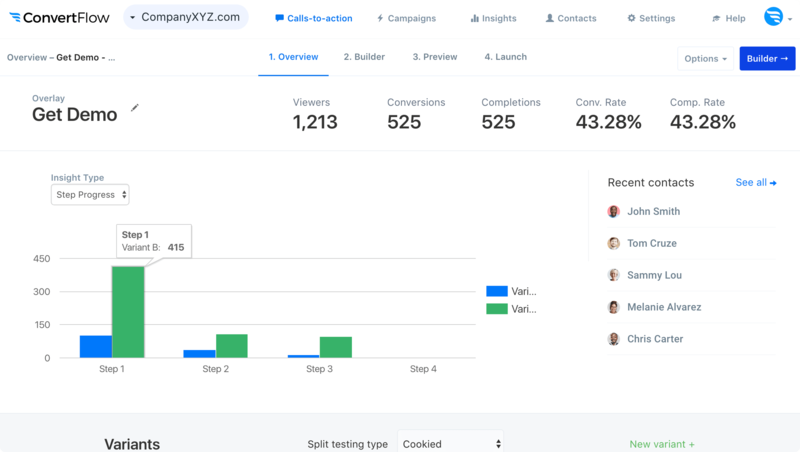 Get reports on the entire campaign, as well as reports for each popup added to the campaign. 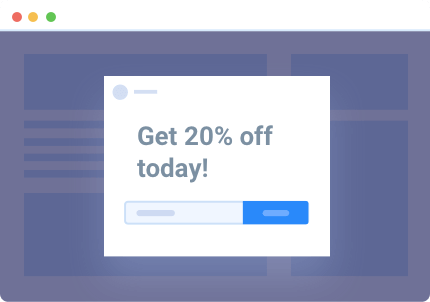 Need more than just popups?